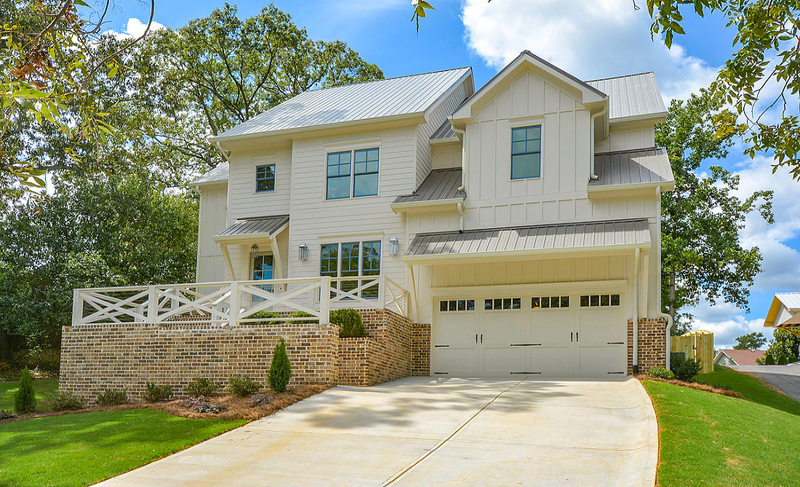 This modern style farmhouse overlooks Georgian Hills Park, located in the highly sought after Ashford Park of Brookhaven. 5 Bed/4 Bath. Select the photo to see the full tour. There is no proper way to describe this home without viewing it in person. Custom accents throughout are what make this house a home. A chef’s kitchen, rustic touches, bed and bath on main, barn doors, standing metal seem roof just begin to highlight the features of this home. Covered screen porch with fireplace overlooking backyard to playhouse with rocking chair porch that can also serve as an office, craft house or private get-away.